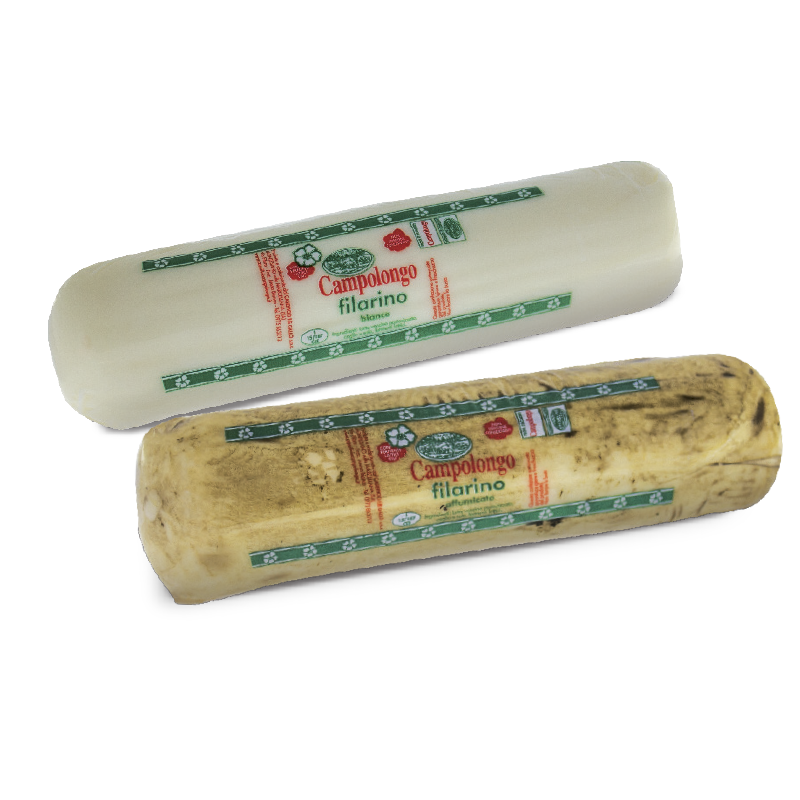 White Filarino is a kind of Scamorza, but with a cylindrical shape. Filarino cheese is white (it becomes straw-coloured after some days); it has a smooth surface, is soft and has no crust; sweet taste, with a nice milky smell. The smoked alternative of Filarino, is flavored with a natural smoking process (made with straw); it is clear brown colored and have a smooth surface; it is soft and has no crust; sweet taste, with nice smell of smoke.